Form meets function as its stylish, stainless steel handle connects you to its cloth grill and real leather finish, married to intuitive touch controls for a clean finish – all without the need of wires or cables. 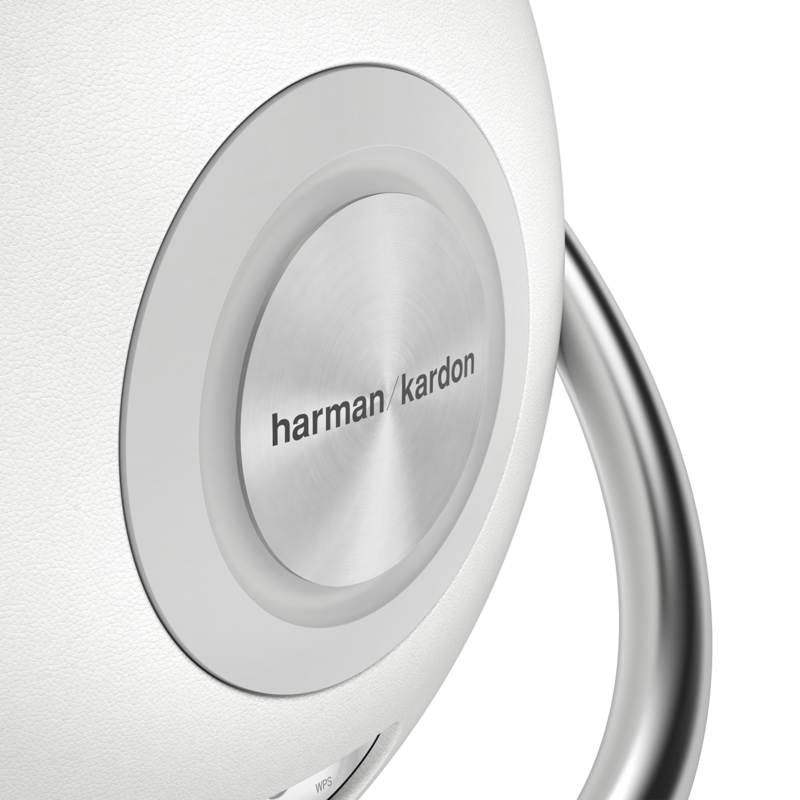 Harman Kardon’s legendary name for quality sound performance stands tall behind Harman Kardon Onyx’s quality acoustics. 4 drivers and dual passive radiators create a classic sound with crisp highs and deep lows that’s every bit as distinctive as its iconic shape. 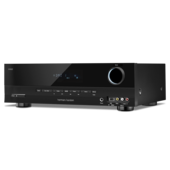 Choose from a wealth of device-friendly connection options – from Bluetooth with NFC to AirPlay for Apple; DLNA for Android, Windows and Harman Kardon ecosystems as well as its rear 3.5mm auxiliary mini-jack input. Realize the ease of total access from the moment you connect your first device, wirelessly, to the first time you audition your favorite MP3s. 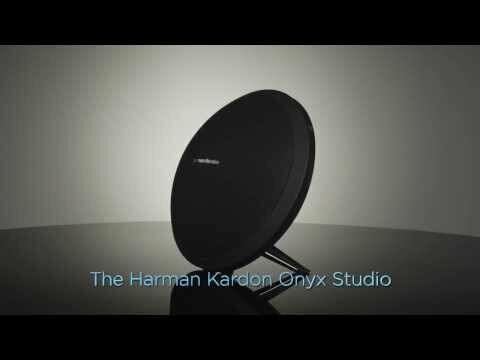 Set up the Harmon Kardon Onyx’s Bluetooth, DLNA, or Airplay via the Remote app for a quick, wireless connection to begin streaming music from any mobile device, computer or NAS on your home network plus discover total control over Harman Kardon Onyx’s audio settings directly from the app. Simply sensational connectivity like nothing you’ve experienced. 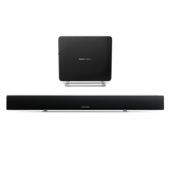 A built-in, rechargeable battery lets you enjoy your music cable-free and its wireless design lets you control playback and stream from any room in the house – or the backyard, for that matter. 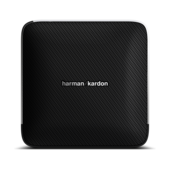 Harman Kardon Onyx brings you the sound Harman Kardon is famous for in a smart-looking, portable speaker system. 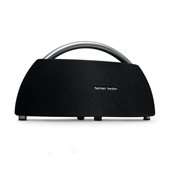 The HARMAN TrueStream technique is our guarantee that you will enjoy the best possible listening experience when you’re streaming audio wirelessly via Bluetooth technology. 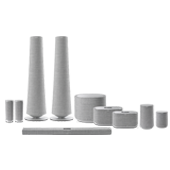 Because you have many options for Bluetooth connectivity, our products always use the most current and most advanced option to ensure the highest-quality sound no matter what application or source device you use. 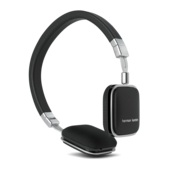 Harman Kardon Onyx uses the AAC, aptX and high-bit pool SBC codecs for the best Bluetooth audio from any device. Wireless, portable sound for any device – anywhere. 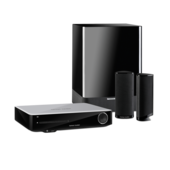 Harman Kardon’s Onyx provides the ultimate sound companion to all your smart devices, furnishing you with room-filling sound through its 4 powered speakers and dual passive radiators. 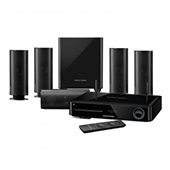 Its DSP-enhanced digital system gives you clear high, warm mid-range and rich low frequencies. 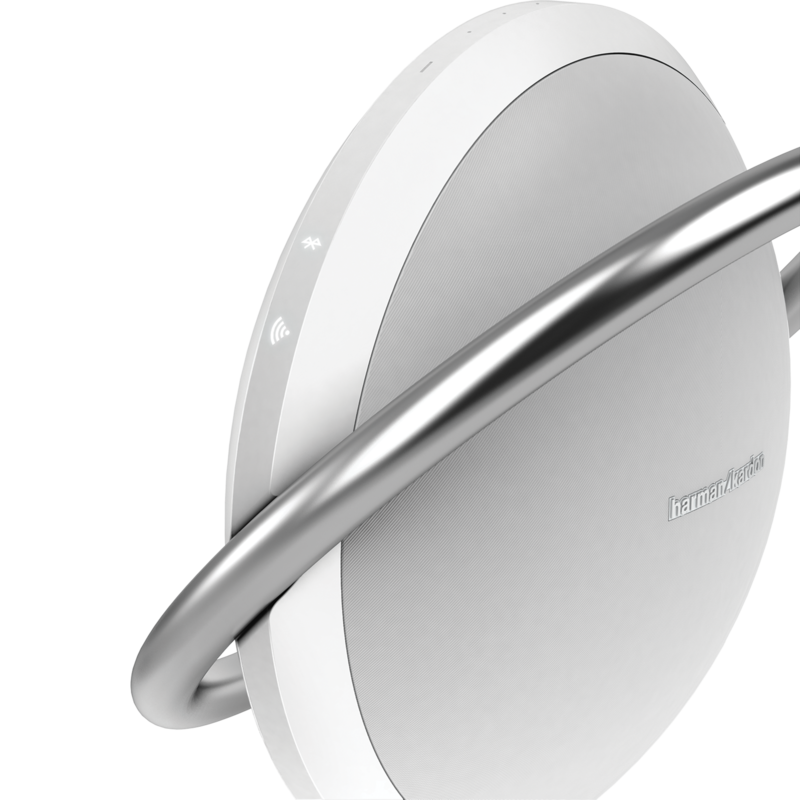 Its stunning good looks hide the wealth of wireless technologies inside letting you connect to almost any device. 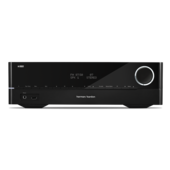 From Bluetooth with NFC, AirPlay for Apple, DLNA for Android and Windows ecosystems, Harman Kardon’s Onyx links you to your every audio need, wirelessly, and gets you up and running fast with the Harman Kardon Remote app for streaming your music from any source. 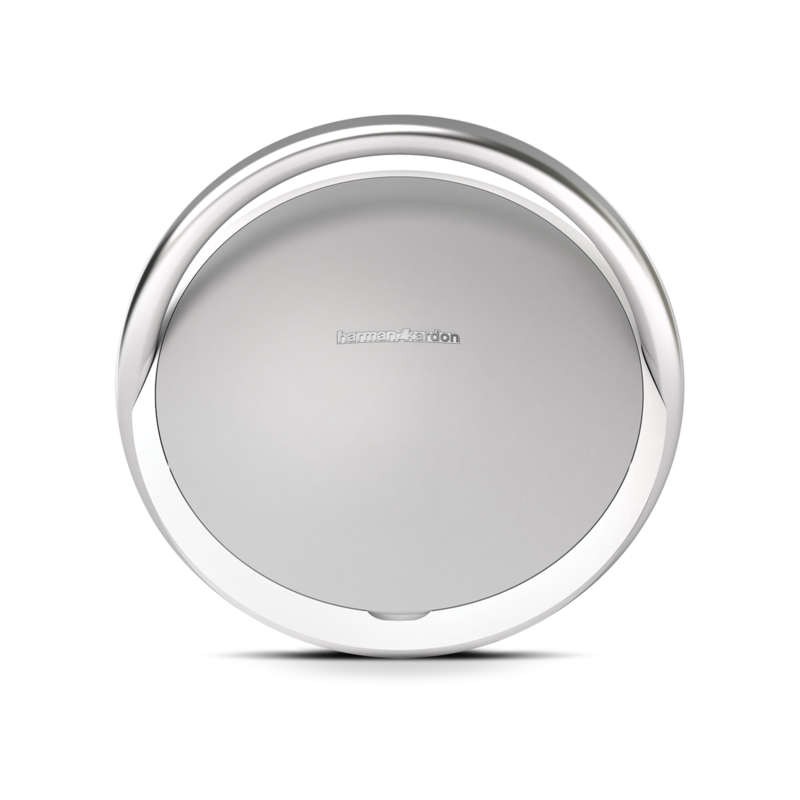 Additionally, a rear USB port allows for easy-setup and charging of your devices while its auxiliary 3.5mm stereo input adds more options. 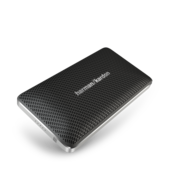 Its battery life provides 5 hours of portable playback time (wirelessly) or 8 hours of playback (wired). 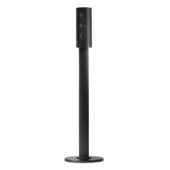 Its other-worldly design features a stainless steel handle, aluminum-finish passive radiator and real leather – while its distinctive shape makes it the focal point of any room for both sight and sound. Close your eyes and savor the sound definition. 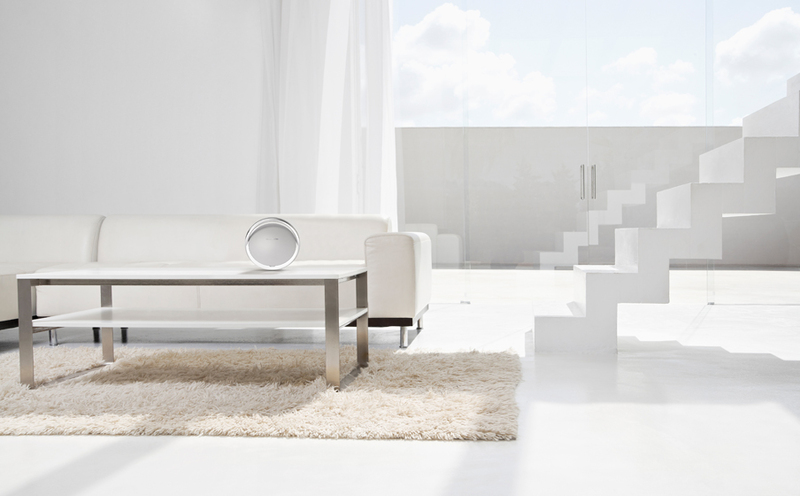 Open your eyes and marvel at Harmon Kardon Onyx’s ability to transform a room – any room – instantly.